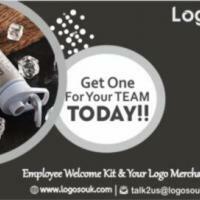 Logosouk offers products for your Trade Promotional Activities, a Welcome Kit for your Employees, Internal Branding within the organisation or you plan to organize a Tradeshow to promote your brand, we do it all. Our job is to make sure your LOGO looks good no matter where it is displayed. We provide the entire range of services starting with Promotional Merchandise or Corporate Gifting and goes on to include anything where your LOGO has a role to play.